This episode takes a week off from the usual Supergirl angst to show us what has been going on with "Red Supergirl", who the Kaznians dub Snowbird, so that's the name we'll go with. We also find out what Lex has been doing since he was thrown in prison, and how he's engineered Snowbird's training in Kaznia and taught her to hate America. ""The House of L" starts with Supergirl confronting Lex. It turns out that he has super strength, and picks up the planet statue from the top of the Daily Planet. Most of the episode is flashbacks. We see Lex's trial, where he proclaims himself the savior of humanity and poisons the judge, jury, and prosecutor a few seconds later. Then to prison, where Lex scratches a painting on the wall, teaches inmates chess, and provides perks to the warden and prisoners. The Kaznians call to tell him about Snowbird, and Lex arranges his own 72-hour leave to go to Kaznia. He befriends Snowbird, who has flown to help a young boy, Mikhail (Gabriel Gurevich). The Kaznians train her, and Lex psychologically "trains" her to distrust American prosperity and view her clone-sister Supergirl with suspicion. All Snowbird remembers is the name "Alex", and Lex plays along by letting her believe that's his name. While sending Snowbird classical literature and history to learn English, Lex also meets with her, plays chess, and talks about how he makes lots of money to deal with the fools that rely on money to control the world. He eventually takes Snowbird to America where she poses as Kara while Kara is off on vacation. Snowbird begins to have doubts about her new crusade after reading Kara's journal, seeing Kara's apartment, and meeting Lena and Alex. So Lex engineers an attack on Mikhail's cabin while having Otis make sure Mikhail isn't there. Her anger against the Americans renewed, Snowbird is then hit with the Kryptonite dust. Lex engineers last episode's situation where he fakes cancer, has James shot, and maneuvers Lena into manufacturing the Harun-El cure. Which gives him super strength with which he beats Supergirl in the opener. Lex also gives Snowbird a Soviet-style Supergirl costume, while Eve plants Lena in Lena's office with presumably a fake suicide note. 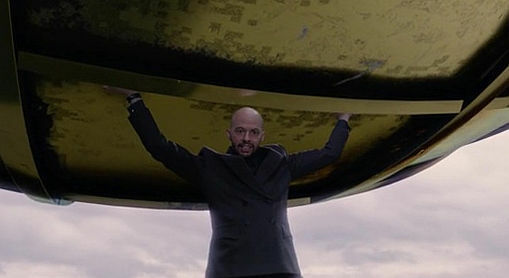 Supergirl somehow escapes Lex's death trap of... hitting her with a big metal globe, and warns Alex and a hospitalized James. Snowbird hovers over National City in her spiffy new costume. There's not a whole lot to say about the episode. It's a pretty straightforward episode. Whether everything that has happened with Snowbird this season has been part of some master plan, or the creative team is just now trying to put everything together and show how Lex is the master manipulator, who knows? It feels more like a retcon than an integral plan, but that's just IMO. I like Jon Cryer as Lex Luthor. He's sinister, ruthless, smart, and manipulative but still gets emotional and impatient. That makes him a lot better than Gene Hackman or Jesse Eisenberg, and closer to the Clancy Brown voice-version in the animated Justice League series. There are still nods to the Christopher Reeve movies, like having Otis (still an idiot) and Eve (a much smarter and cunning woman). Robert Baker's portrayal of Otis as an idiot henchman who handles Lex's grunt work is still a bit disconcerting. At least, it takes me out of the "evil Lex Luthor" atmosphere every time he shows up. Like in a scene where he gets takeout for Mikhail and rambles on about getting a second chance at life and respecting bald men. There's also a bit where Lex wears a wig to pass unnoticed while showing Snowbird the U.S. it brings back unfortunate memories of Gene Hackman's wig-wearing Lex. That, and it makes Lex look a bit like Tony Stark. Melissa Benoist does an adequate job as Snowbird. She's almost too convincing posing as Kara, but then I suppose she would be. It's hard to swallow that she could fool Alex, but besides the narrative convenience, it's not like Alex is on the lookout for people posing as Kara. Then again, they have image inducers and shapeshifters and White Martians and mental illusions and whatever else they've established in four seasons. Maybe she should be suspicious. Most of the series stars aren't present, and Mehcad Brooks as James barely shows up. There's no room for any of them and it's not appropriate to the episode to have them. It's a little odd not to see J'onn. Overall, "The House of L" is must-see Supergirl if you want to know what has "really" been going on throughout the season with Snowbird, and how Lex plays into it. It is good to see Lex as a villain who can give Supergirl a run for her money: over the last four years, her opponents have been a bit... uninspired. But that's just my opinion, I could be wrong. What do you think of the episode? Yes, that plot turn was very weird, maybe Supergirl could just get away in time. 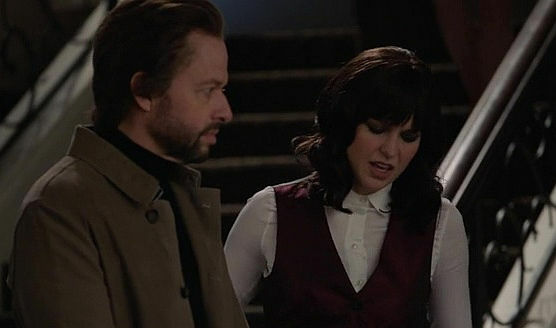 Lex is certainly the best part of the season so far. He just doesn't seem to fit the tone of Supergirl villains so far. He's a hammy, intellectual, ecocentric, long-range planner. Compared to the cadre of Kryptonian villains that Supergirl usually features as big bads, Lex seems to be on a different show. Or the first season, with Cat Grant. Where is she, anyway? Also, call me a traditional comic book fan, but having Lex fighting Supergirl rather than Superman seems strange. In one retcon, didn't Lex create/clone Supergirl? Here we have a different clone version that Lex had nothing to do with creating. Yeah, it's mildly Easter eggy to have Lex use a Supergirl clone like he did in the comics. But then he has that clone framing/fighting the "real" Supergirl. 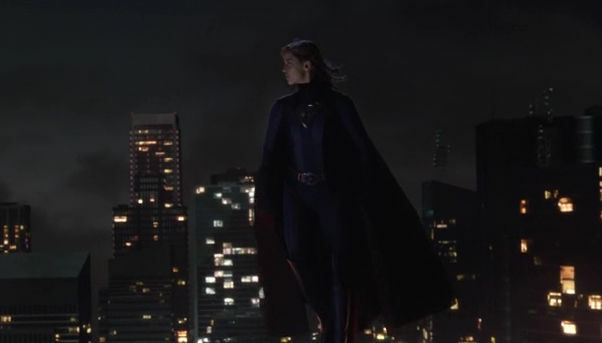 It also seemed a very strange plot turn, from Lex knocking out Supergirl, to Supergirl flying to the hospital and chatting with Alex and James. Shouldn't have Lex... oh, I don't know, captured Supergirl and imprisoned her in some manner? Instead he knocks her out and then... just leaves. I almost thought it was Snowbird/Red Daughter/Clone Supergirl who was talking to Alex and James. I guess he wants to frame Supergirl so badly that he let her go? But... that doesn't seem to make any sense. He could kill her and still use Fake Supergirl to carry out his plan to set the U.S. and Kasnia at war, and then step in as the hero. Why is framing Supergirl more important than capturing/killing her?